Oklahoma City wanted a venue for racing, for recreational kayaking at all levels, for commercial rafting, and for events and competitions of varying sizes up to tens of thousands of guests. An expansive venue that incorporates whitewater, flatwater and adventure sports into a single venue. 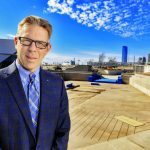 This venue, located in Oklahoma City’s Boathouse District is designed to augment the flatwater training facility located at this same site. Featuring a total of 23 feet of drop and 1150 cubic feet per second of flow through three channel segments, this is the world’s best instructional and ADA paddling venue, best competitive channel, and world’s largest volume pumped freestyle venue. The channels and pumping systems have been designed to optimize flows based on the character and number of boaters commercially rafting at any given time. Other features include: a purpose built swiftwater rescue training center, a contained instructional area, and a fully adjustable surfing venue designed for both kayakers and board surfers.